It’s in the back of a dingy old storage basement. The floor is made of dirt and there is the faintest, rhythmic trickle of water dripping somewhere nearby. The stale scent of must fills the air. In the depths of a fermentation cellar lies one lonely little bottle that looks so dusty that it’s near the point of being reclaimed by Mother Nature herself. Yet within this bottle, for some time now, a war has been waging. It’s a microscopic war with bacteria and yeast as the pawns and a certain delicate flavor profile as the objective. There was a time when the products of these molecular battles were almost as minute and marginalized as the battles themselves. But recently, that is all changing. Sour beers, the very draft of history that they are, are on the rise! They might not be the crisp, straight-laced lagers that we used to know. In fact, some of them are approaching the very antithesis of that. They are deep, complex and mysterious. With more and more bottles of this esoteric elixir being pulled out of the depths of various fermentation cellars all around the world, sour beers are exploding onto the American craft scene. But, many know so little about them. How do these beers tempt the tentative novice or prompt the IPA loving consumer to deviate down the delicious rabbit hole? It’s simple. They wait for you to talk to someone who knows, like a brewer or bartender. What Makes a Sour Beer Sour? First, it’s important to understand that sour beers are ambiguous. We’ve previously written about how “sour beers” are uniquely difficult to categorize. They are equally difficult to make. They comprise numerous styles crossing multiple regions of the globe and vary in alcohol and color. Their lone unifying characteristic: some offbeat flavor. A subjective variation of taste which exists on a spectrum from some-kind-of-odd funk, to an outright acid-like, vinegar flavor. However, it is there that we must focus on the notion of what makes a sour beer sour, because it is in the production process that you make the beer sour. After that complex and nebulous introduction, I want to inject some simplicity. To make a beer (any beer) sour, brewers inoculate it. What does that mean? 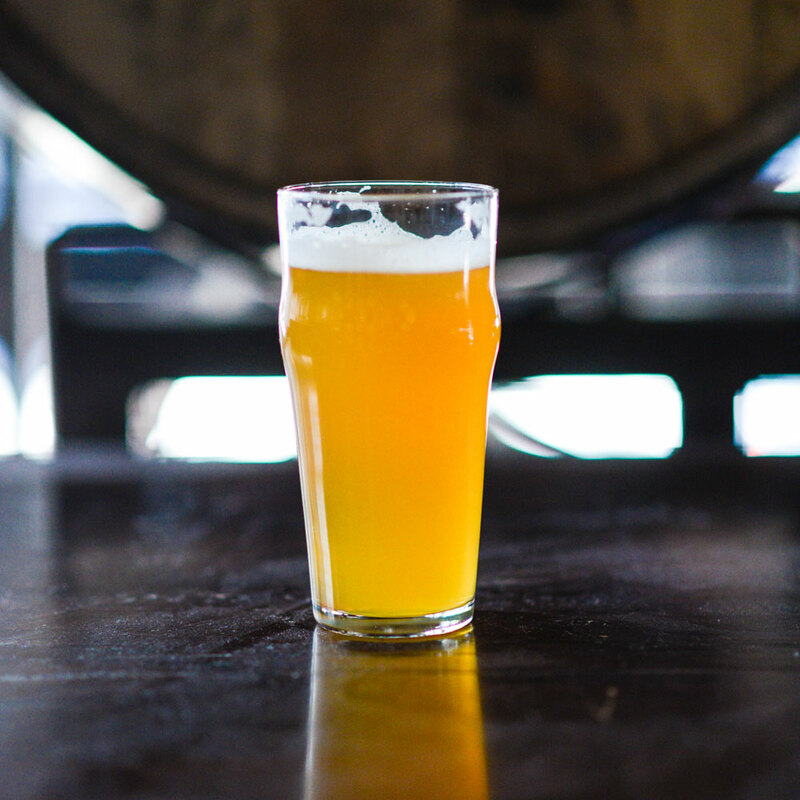 Simply, they ferment the beer by introducing one (or a combination) of fermenting agents: a genus of yeast called Brettanomyces, acid producing bacteria, and/or any type of conventional and non-conventional yeast. When you make beer, you ferment the wort (brewed, but unfermented beer) with any one of a number of different species of Saccharomyces yeast. These yeast consume the available sugars in wort to produce alcohol and carbon dioxide, along with a range of flavor characteristics. Conventional beer yeasts, like those in your favorite stout or IPA, have been isolated to yield a controlled fermentation so the beer has a consistent taste. But that’s not true when it comes to so-called sour beers that are primarily or partially fermented with acid producing bacteria and wild yeast such as Brettanomyces. While often mischaracterized as a souring organism, Brettanomyces is an acid producing genus which, in the presence of oxygen, can metabolize alcohol into the vinegary acidity known as acetic acid. Along with that acidity, Brett lends a complex array of flavor components. These flavors range from earthy and funky to tropical fruit. They can develop throughout the fermentation process, anywhere from primary fermentation to secondary barrel-aging to tertiary bottle conditioning. When using wild yeast like Brett, some brewers will leave wort in open vats known as “coolships” to allow them to pick up wild yeast and bacteria from the environment to initiate fermentation. Brewers then move the wort into oak barrels, where it will slowly change over time, yielding some of the most complex beers in existence. 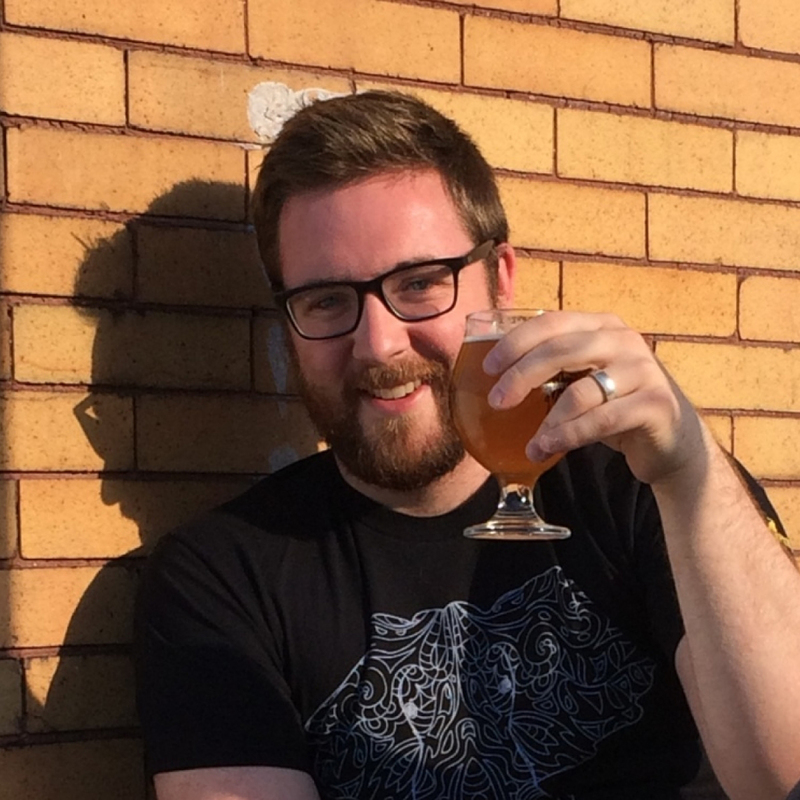 Sour producing bacteria play a tandem role in the creation of sour beer with Brett. 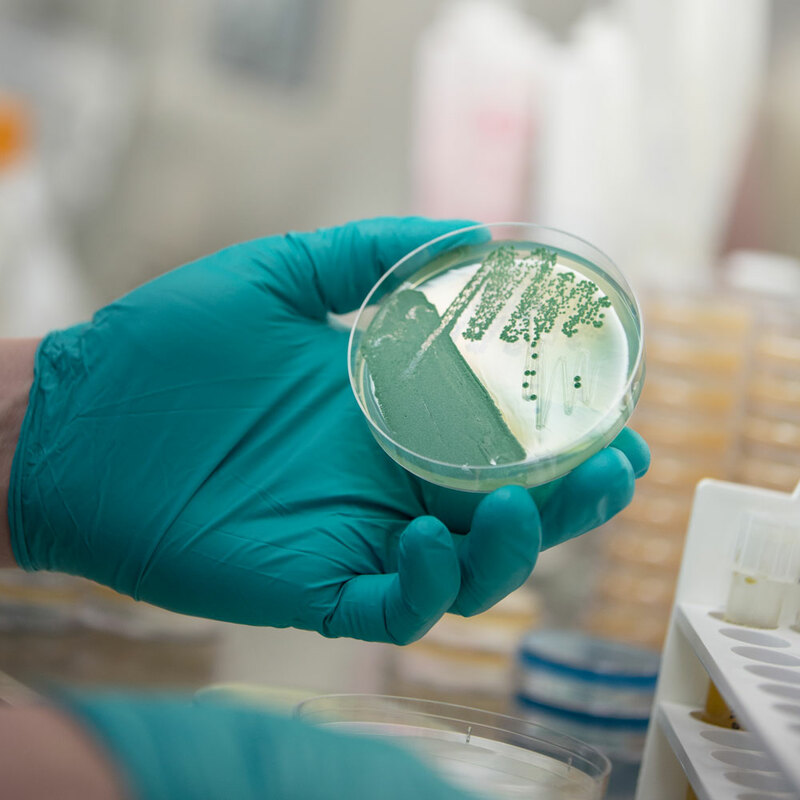 The primary bacteria strains responsible for making sour beers sour lies with Lactobacillus and Pediococcus. These organisms can be introduced to the brewing process in a variety of ways. Like yeast, the bacteria consume the available food and produce acid as a byproduct. Both produce lactic acid, a bright lemony-tart character found in yogurt or Berliner Weisse. Another acid common in sour beers is acetic acid. Acetic acid is another yeast derived by-product and is the acid responsible for the character in vinegar. Acetic acid is also produced through acetobacter, a spoilage bacteria which works to consume oxidized alcohol. This is a good chance to offer insight into another bonus question: Why don’t more breweries do sours? Well, if your intent is to inoculate the beer with these wild and unwieldy microbes, understand that they can be tough to kill, and they are tenacious if you don’t kill all of them. Basically, not a lot of breweries do it because there’s an inherent risk of infecting more than just the one intended beer and having an infection spread like sepsis throughout the brewhouse. Are There Different Types of Sours? Of course there’s some manner or organization to this — we’re not animals. That said, it’s not extremely cut and dry. In fact, it is constantly evolving. 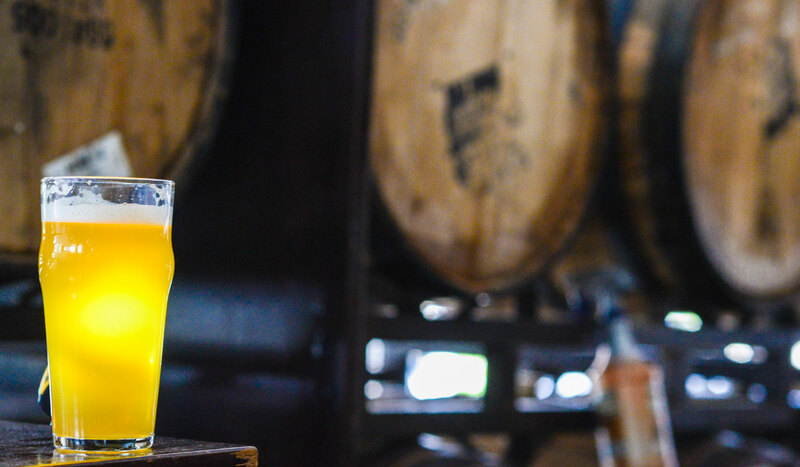 Thanks to innovative breweries all over the world and mad scientist homebrewers that forever strive to push the boundaries, the number of specific categories of sour beer is forever growing and shifting. The Beer Judge Certification Program (BJCP) style guidelines is always a good place to start. It is even helpful to see how things have developed over time. In the 2008 edition of the BJCP style guide sour beers were categorized under a single category (number 17 to be specific) and that contained six subcategories of specific sour beer styles. Currently, the BJCP style guide recognizes two different complete categories for a total of nine different styles, and have one other beer now, more appropriately, listed in the “Historical Beer” category for a grand total of 10 different beer styles that are all agreed upon to be sour. It should also go without saying that the dark alchemists of alcohol are far from finished expanding upon this list of style categories. With one of the 10 styles simply being “Wild Specialty Beer,” such a vague category simply begs to be broken up and clarified. But all in good time. For now, we might be satisfied with the likes of lambic, fruit lambic, gueze, Flanders red, oud bruin, gose, Berliner Weisse, Brett beer, mixed-fermentation sour and wild specialty beer. How Do I Know What to Pick or Where to Start? These funky and sour beers are an acquired taste. No two ways about it. But if you never try it, the only thing you’ll guarantee is that you’ll never possibly come to appreciate it. The best bet is to do your homework and look for a beer style that’s close to your favorite style. It’s fair to assume that if you don’t like red ales normally, a Flemish red might not be the best place to start. If you like a wheat beer, then try a gose. If you like German beers, try a Berliner Weisse. Don’t have a favorite? You’re perfect! Go ahead and dive in, see what happens. 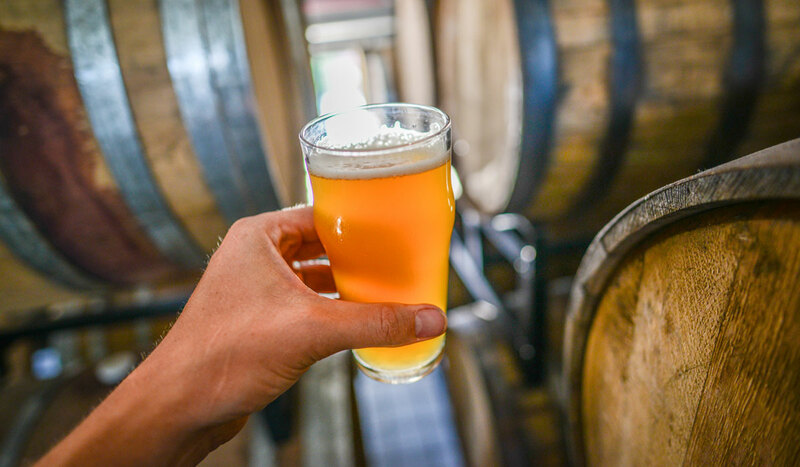 Speaking a moment to popularity, from personal experience, the light and tart wheat beers, the Berliner Weisse and the gose are easily among most popular sour beers breweries produce. This makes some good sense as these are similar to each other in many ways and their high lactic acid content makes them tart and refreshing. Regardless of what you choose, the most important thing to remember when experiencing a new beer is that brewing is a labor of love. If you don’t like a beer, that’s certainly your prerogative, but it’s best to acknowledge that doesn’t necessarily make it bad — just perhaps not the one for you. What Can I Pair with a Sour Beer? Sour beers are delicious and their tart nature can make them palate cleansing. However, their tart nature also makes them overpowering at times. Consequently, anything you are looking to pair with sours needs to be able to stand up for itself at the plate so as not to be overwhelmed. At this point, you are sure that I will suggest some grossly elaborate dish that you’d be hard pressed to find outside of a 5-star restaurant. However, oddly, good old-fashioned barbecue does a decent job. 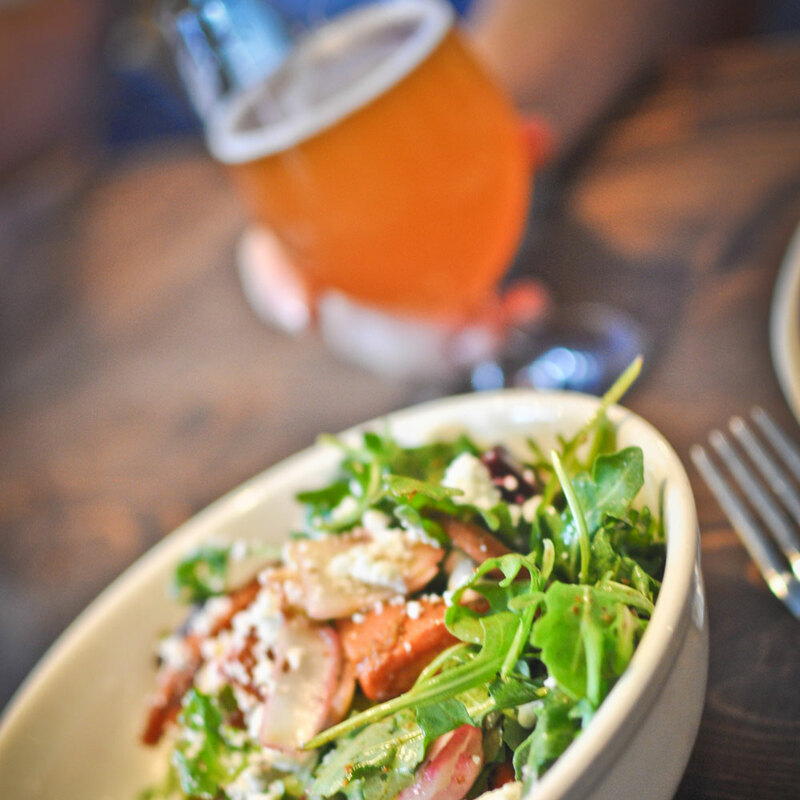 As a general summary, for the acidic, tart beers, strong grilled meats, fish, shellfish (crabs and mussels), light salads and plums all go together extremely well. If the funky Brett beers are more to your liking then you’ll find that earthy flavors work well with these beers. Look for classic dishes with flavors like potatoes and mushrooms. It wouldn’t be a very fair assessment of the power of the sour if I didn’t offer a personal pairing from my own experience. A personal favorite pairing is a Berliner Weisse with a chicken curry and rice dish. I feel the acidity helps cut through the spice and the light, citrusy flavors play nicely off the strong, pungent curry. Even beyond food, you can pair these beers with a lot of different things. The variance of the sour only increases its versatility and it can be equally enjoyed at a ritzy dinner table, in the middle of a sandy sun-drenched beach or on a creaky back porch amidst fresh grass clippings. One word: control. And that’s a pretty powerful concept. One of the words rarely spoken by a new brewer is reproducibility. This is because as someone starts on their adventure to brewing their own recipes, reproducibility will be very challenging. We only very delicately harness the awesome power of fermentation. It can be difficult to make those little microbial soldiers do the same thing again and again. This can be particularly true for wild yeast and spontaneous fermentation. Science is removing some of the mystery to allow brewers a greater understanding of the flavor profiles that they are producing. In short, sours are going nowhere but up. Sour beers may be our doorway to taste the ancient days, but they may also be our window to the future. It’s an exciting time for an exciting class of beer. Ask your bartender or brewer and give one try. Drink in the past and toast the future of America’s independent craft brewers.